This post is dedicated to my old and new Subscribers. Thank you, my old subscribers, you made me want to give more and improve, you mean a lot to me. My new subscribers, thank you for subscribing and choosing to follow my blog from the +450 Million blogs out there, you made me feel special. 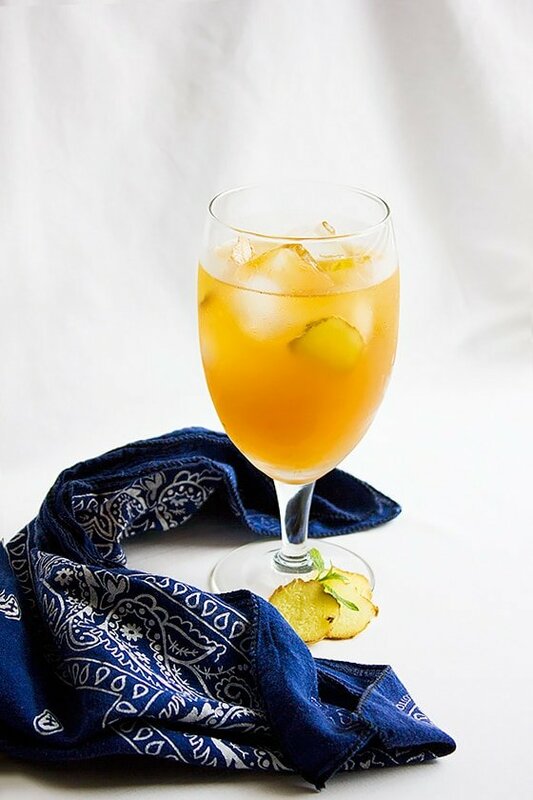 Let’s celebrate with a drink, with a refreshing and healing Ginger Iced Tea. When you are in your comfort zone, you tend to produce more, be energetic, and feel light. When your system feels comfortable it is in a way feels the same. 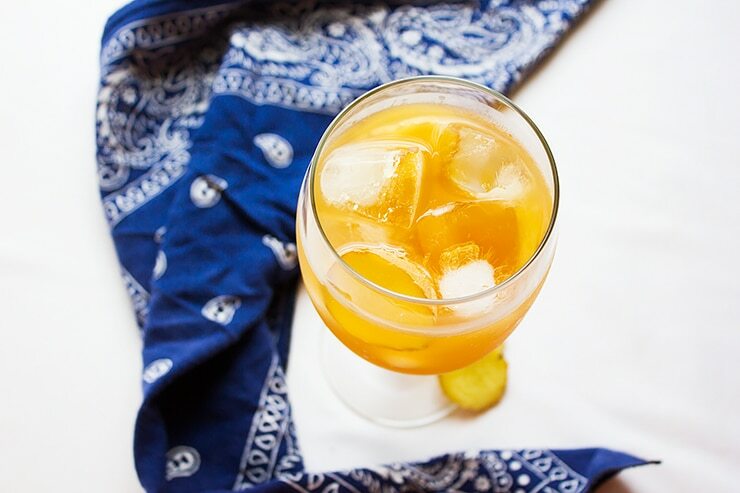 This Ginger Iced Tea is not only refreshing, but it has the ability to heal and improve your digestive system. 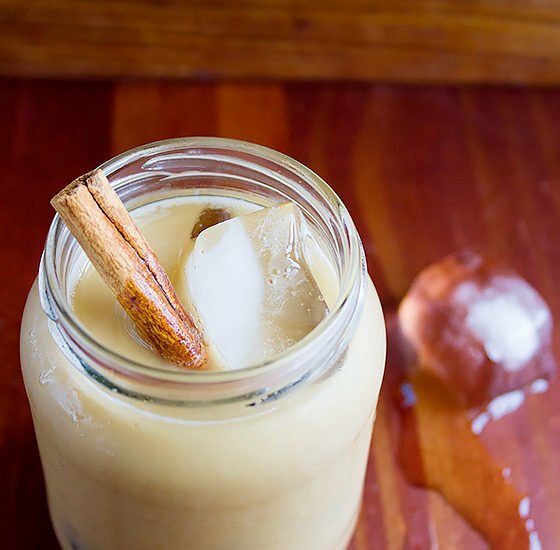 I’m not saying that this drink can substitute a visit to the doctor or medicine, but it is a way to enjoy an Ahhhhh moment in the comfort of your own home, with ingredients located in your kitchen cabinet. Ginger is known for its countless benefits, it can reduce bad cholesterol, low blood sugar, stop you from feeling nauseous, and much more. But like any herb/spice, moderation is the key. 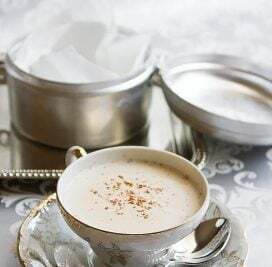 Ginger helps in thinning blood, therefore, too much of it might make you feel light headed. I don’t want to scare you. 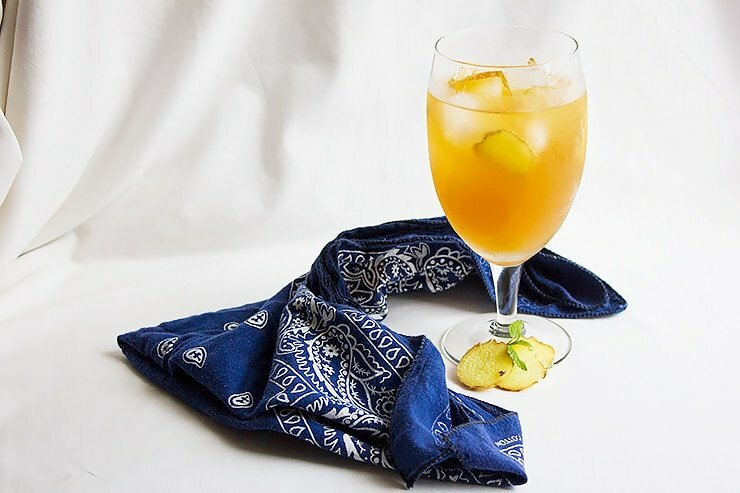 I do drink one to two glasses of ginger iced tea in a day but I don’t consume it every day. 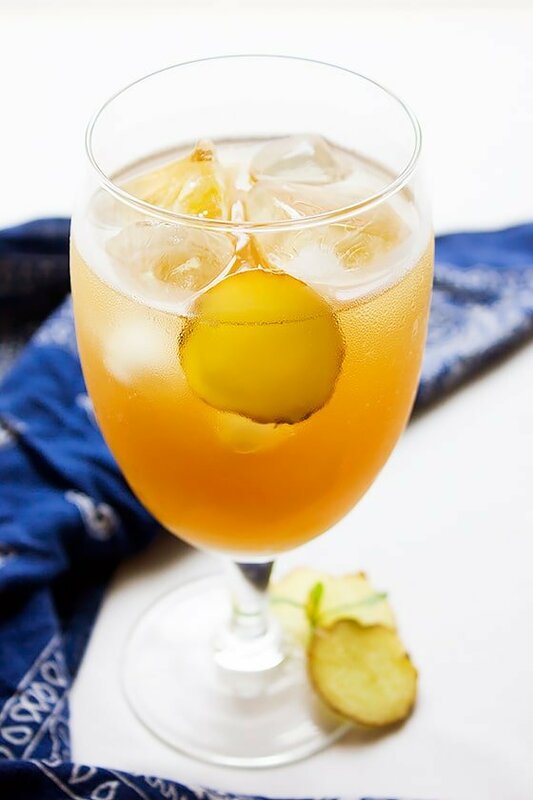 It is Summer and you need to feel hydrated, this Ginger Iced Tea is a gift to your body and family, why not enjoy this recipe and let me know what you think. Boil 3 cups of water from the 6 ½ cups of water. In a heat resisting pitcher, add the boiling water, sugar, and ginger. Keep aside for an hour. Add the rest of the water to the pitcher and then add the lime juice. Stir well and keep aside for 20 minutes. Refrigerate and use after at least 2 hours. Best served in a glass full of ice. PS: Guys, I have started working offline too, so my posts (for a while) won’t be published regularly until I settle in my new environment. Hang in there, I have great new recipes coming your way soon! Beautiful! Simple ingredients and great flavour. When ever I’m feeling crappy, I load my tea with ginger! These photos are gorgeous, as always ! !